By Karrar Haider in Desktop. Updated on November 29, 2018 . Don’t you wish that you can launch your favorite few programs the moment your Windows starts up? You can actually choose to launch only the programs, files or folders you want and at the same time you can also disable third-party programs that automatically launch their applications. Not only does this save you from the drudgery of waiting your apps to load, but you can hit the ground running with all your favorite apps from the get go. Let’s take a look at how you can customize which apps to launch and which ones to disable upon startup. Let’s start with adding programs to startup with Windows automatically. Below are two methods you can use to make programs or files launch when Windows startup. Windows has a startup folder that can be used to launch any type of executable program or file. Anything that goes into the startup folder is set to launch when Windows start. So whether you want to launch the document you are working on or open your favorite browser automatically when Windows start, simply move its shortcut to this startup folder. The easiest way to access the startup folder is to press Windows + R keys and type "shell:startup" in the "Run" dialog. The startup folder will open up when you will click on "OK". 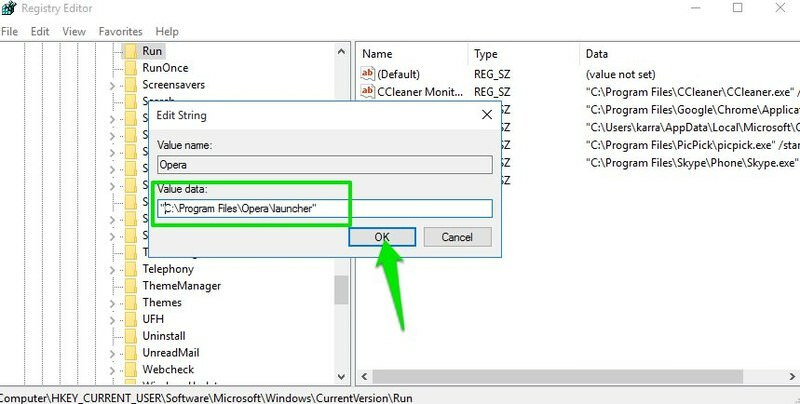 Although you can also move the actual executable file (program launching file) to the startup folder, but this will remove quick access to the program. You can also "Copy" (Ctrl + C) the file or program executable file and paste it in the startup folder. However, this will create a copy of the file with the same size as the original. Creating a shortcut is a better option than either of the two. 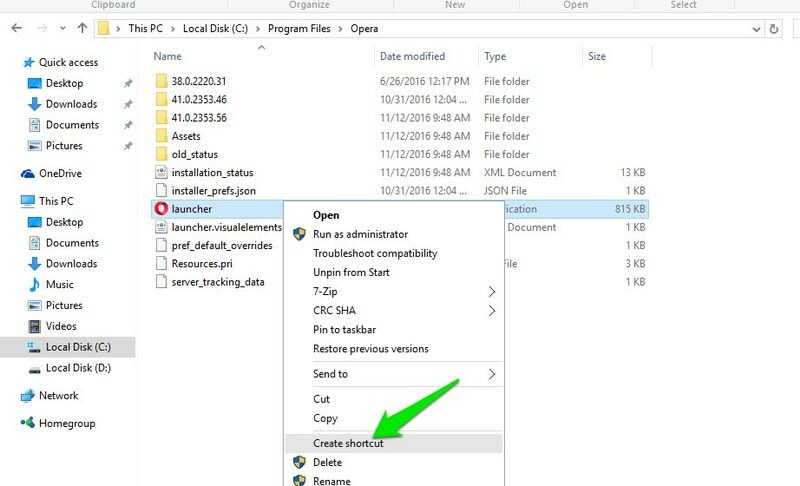 To create a shortcut: right-click on the executable file of the program and select "Create shortcut" from the context menu. Cut and paste the shortcut into the startup folder and you’re good to go. This works will all types of files, folders, scripts or program executable files. Note: This will only apply to the current user. If there are multiple users and you want to apply same settings for all the users, then you will have to move the shortcut to a different startup folder. The command to this startup folder is shell:common startup". 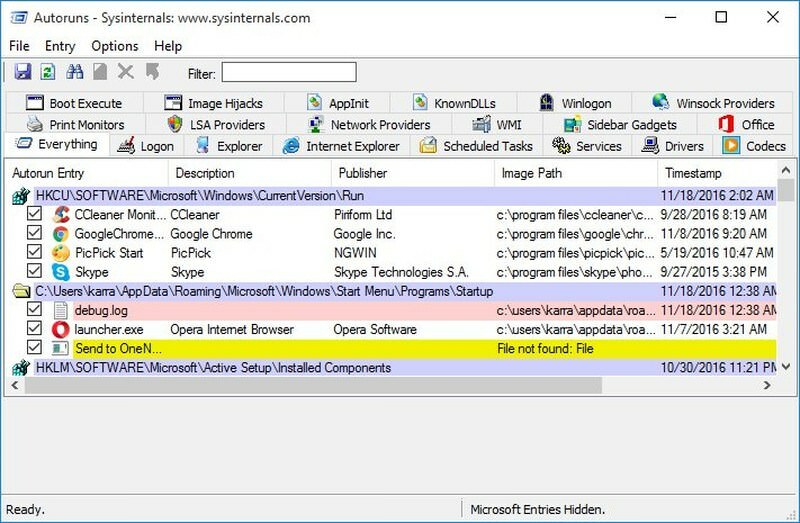 Enter this in the "Run" dialog to access this folder. Apart from Method 1, you can also customize your Startup Programs list with the Windows registry. The problem is it is not as easy as Method 1, and secondly, messing with the registry could corrupt your Windows. Proceed with caution and remember to create a backup of registry just to be sure: press Windows + R keys and type "regedit" in the "Run" dialog to open the registry editor. Here right-click on the "Run" entry and select "String Value" from the "New" option. A new string will be created in the right panel. Give it a name so you could easily identify it, there is no restriction on what name you can use. Now you need to enter the exact directory of the program or file that you want to launch at Windows startup as the string value. Go to the exact location of the program or file in the File Explorer and copy the location directory from the bar above. Double-click on the new string you created in the registry and paste this directory as string value. After that, add a backward slash (\) and enter the exact name of the file or program’s executable file; including the extension name if available (the part after the dot at the end). Now add quotes at the start and end of the whole string and the value will be complete. The string value should look something like this: “C:\Program Files\Opera\launcher”. Now close the registry and this program or file will launch as soon as the Windows start. Now that you know how to make programs start with Windows, lets see how you can stop programs from starting up with Windows. Windows has a built-in Startup manager that lists all the programs that are set to start with Windows. 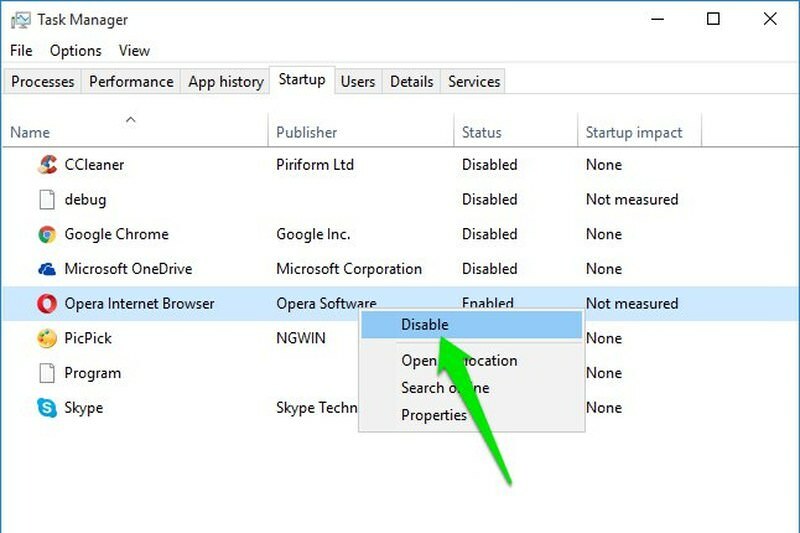 In Windows 8 and above, you will find it in the Task Manager. In the older version of Windows, it’s in the "System configuration" options that you can access by entering "msconfig" in the "Run" dialog. To access the task manager, press Ctrl + Shift + Esc keys. Here move to the "Startup" tab and you will see all the startup programs; both added by you and third-party apps. Simply right-click on the ones that you would like to disable and select disable from the menu. That’s it, the program or file will be stopped from starting along with Windows. The built-in startup manager should work fine for most Windows users, but if you want more control and details then a third-party app will be useful. For this purpose, Autoruns can inform you about which programs or files that are set to startup with Windows. Note: I do not recommend novice users messing around with this application as it also lists Windows system files that startup with Windows. Disabling an important system file may prevent Windows from starting. 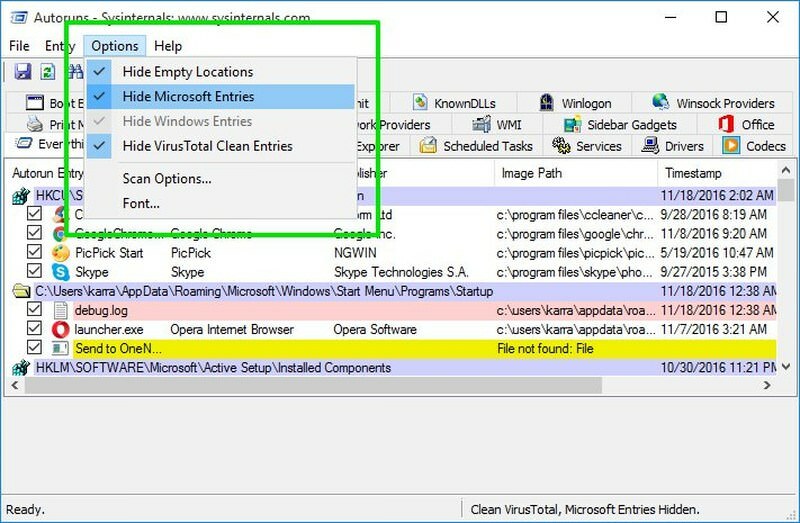 As soon as you launch the program, you will see all the startup programs and files along with their exact location in the system or Windows registry. From the "Options" menu above, you can hide all the Microsoft and Windows entries to only see entries made my third-party programs. This make the process safer as you will know that you are not messing around with important Windows files. Simply uncheck the checkbox next to each item to disable it. Starting important programs with Windows is a great way to be more productive. However make sure you don’t go overboard and add dozens of programs to start with Windows. This will increase the total boot time as Windows need to process these items during the boot time. Furthermore, whenever you need to disable an added program/file, use the Windows startup manager instead of deleting its shortcut or entry.